How can a hospital effectively recruit and retain top physicians and advanced practice providers? As revealed in this case study, Canton-Potsdam Hospital does it by embracing the Art and Science of Recruiting. 75% of physicians use smartphone and tablets for professional purposes. 5 years ago only 28% of physicians used a computer, smartphone, and tablet. Today 82% use all three. 72% of physicians believe there is a physician shortage. The Art of relationships and experiences. The Science of systems, tech, and data. Utilize both sides of your recruiting brain by keeping your program agile, keeping up with market insights and marketing technology, as well as tapping the time-tested principles of relationship building and delivering a superior experience. 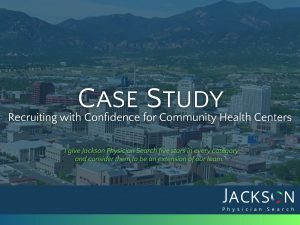 Establish trusting relations with recruitment partners, physician candidates, and your own internal hiring team. 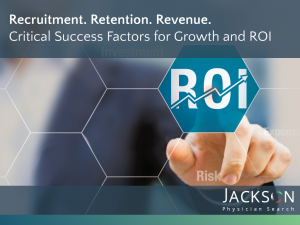 Innovate and drive your recruitment process to reach a wider pool of physicians – particularly passive physician candidates – with digital recruitment and networking tools. Build an agile, well-structured recruiting system coupled with a highly personalized, first-class candidate experience – utilize both high-tech and high-touch communications. Read the rest of this case study by clicking the download button.